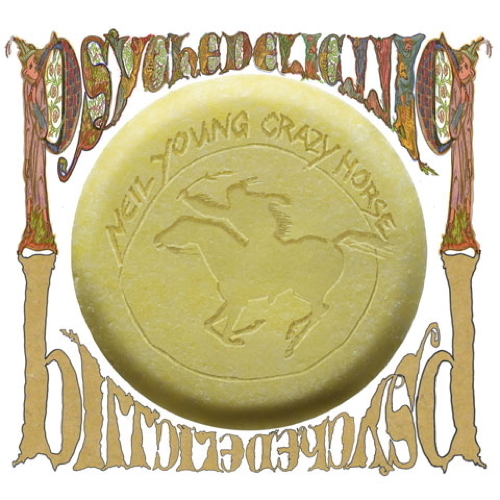 Like a mustang on the loose, it’s been difficult to contain Neil Young and Crazy Horse in the past year. Earlier in 2012, they released Americana, in which they put their own electric spin on classic folk songs and spirituals. Now they’re really running wild with Psychedelic Pill, an unhinged, jam-filled set that stretches over two discs even with only eight songs included. The truth lies somewhere in between. The five normal-sized songs on Psychedelic Pill aren’t prime Young, but they’ve got their charms. “Born In Ontario”, with a country-rock groove reminiscent of Buffalo Springfield, is an unassuming gem, as Young extols his birthplace while still finding time to “try to make sense of my inner rage.” “For The Love Of Man” shows that the Horse can cradle a slow one just fine, as Young gets his inner Brian Wilson on. The title track may have a few recycled riffs but gets by on some atmospheric production that makes it sound like it was released in the summer of ’67. That musical look back ties in with the theme of the three long songs on Psychedelic Pill, which all concern themselves with the passing of time and the inconveniences that accompany it. “Driftin’ Back” is full of black humor as the narrator attempts to find spiritual peace while modern life mocks him. (His mantra: “Hey now now, hey now now.”) “Ramada Inn” is much more sober as it takes a clear-eyed look at a longtime relationship and the sacrifices it takes to keep it afloat. Best of these behemoth songs is “Walk Like A Giant,” which finds Young consoling himself over lost ideals with found love, before the Horse approximates what a giant might actually sound like stomping around through Ralph Molina’s drum wallops and stabs of guitar. It’s a fitting way to end an album that veers about like an unruly monster. The problem with Psychedelic Pill, and it’s a substantial one, is that, besides that inspired ending, the instrumental passages don’t distinguish themselves as being all that memorable. They’re all pretty much comprised of the rhythm section of Billy Talbot and Molina keeping things moving forward, Frank Sampedro laying down a sludgy bed of rhythm guitar, and Young taking off on feedback frenzies, alternately droning and squalling as the muse moves him with seemingly no connection to his improvisatory lyrics. Chances are if you were dropped into the middle of one of those epic jams, you wouldn’t be able to tell which song it was. Whether or not that bothers you will probably tell you all you need to know about your tolerance for Psychedelic Pill. No one would ever deny Neil Young and Crazy Horse the right to roam, but that doesn’t mean everyone has to follow them on this unwieldy journey.